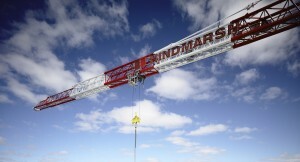 Operating in four states, Hindmarsh is a privately owned construction, property development and retirement business. For the past three decades Hindmarsh has delivered more than $3.5 billion worth of completed projects for its partners and clients. Hindmarsh’s portfolio includes a number of high profile projects that span many different sectors, including commercial and residential high-rise, industrial, sporting, health, government and education. In the Queensland market, some of Hindmarsh’s completed projects include the award-winning Science, Engineering & Architecture Building at Griffith University and the Queensland Swimming and Aquatic Centre. Pilot Partners was initially introduced to Hindmarsh when it acquired one of the firm’s existing construction clients as part of its strategy to grow into Queensland. During the first few years following the acquisition, Pilot focused on helping Hindmarsh with its Queensland construction compliance obligations. Managing that relationship was Daniel Gill, a partner in the firm’s Corporate Advisory division. Daniel leads Pilot’s audit team within the division. Daniel focused on building a strong working and personal relationship with the Hindmarsh finance team. The location of the Hindmarsh head office being in Canberra simply was not an issue. In 2012, Hindmarsh invited Pilot to submit a tender for the audit work for all of the business’s property development and construction business. Hindmarsh was looking for an advisory firm who understood their business and could help them with the financial regulations and reporting obligations in the construction and property industry. They also wanted a firm that would provide a personal service and work collaboratively with their finance team. Over the years, Hindmarsh has grown in both size and complexity of business. Pilot has continued to assist Hindmarsh throughout this period of growth so that it was able to meet its various reporting and audit obligations. We have advised on their obligations under the financial licensing requirements of the Queensland Building and Construction Commission (and its predecessor, the Building Services Authority). We have also advised on Australian Financial Services requirements as Hindmarsh has entered the world of managed property funds. These are both areas of regulation which have specific challenges and which require experience and expertise. “You may have noticed there are a lot of cranes littered across Brisbane’s inner city skyline,” said Steve Laffey, Hindmarsh’s NSW & QLD State Manager Development. Hindmarsh continues to make significant contributions to the Brisbane and broader Australian economy. In the Queensland market alone, Hindmarsh has several projects in different stages of development. This includes the Zest Apartments in Kelvin Grove (144 apartment complex that also includes commercial and retail space, due for completion in September 2016) and a recent joint venture with Queensland Cricket Club in Kangaroo Point (15 and eight storey mixed use project, comprising of 200 apartments, as well as commercial office and retail space). The Hindmarsh website illustrates well their range and quality. For more information, please contact Daniel Gill or Chris King from our Corporate Advisory division on (07) 3023 1300.